CALLING ALL SAVVY VOLUNTEERS! As part of Rulon Brown’s project, Ripple, the amazing grass roots folks at Feet First will help you build your own free walking tour that blends Ripple music, art, nature, and history about the Sammamish River. Feet First will train you to build your favorite walking tour inspired by Redmond trails, public art, nature, history and parks. Then they promote your walk as part of a Redmond walk series, turning you into a local guru! Tours will also meet up for a secret Ripple concert, Friday night, August 8, 2014. WHAT: Feet First Neighborhood Walking Ambassador training in Redmond to empower community residents to lead walks in their neighborhoods. Saturday, July 19 from 10:30 am to 1:00 pm at Old Redmond Schoolhouse in Redmond. Become a Neighborhood Walking Ambassador. The free training gives people the know-how to build their favorite walking tour inspired by Redmond’s great trails, public art, nature, history and parks. Neighborhood Walking Ambassador tours inspire people to get out and enjoy Redmond by foot. Friday, August 8, the Neighborhood Walking Ambassador walks lead to a free community concert along the Sammamish River Trail by Redmond resident sound artist Rulon Brown. Space is limited so RSVP now. This performance is presented in partnership with 4Culture Site Specific, and Redmond Arts Program. Since 2012, Feet First has trained more than 50 Neighborhood Walking Ambassadors who have led over 200 walks. 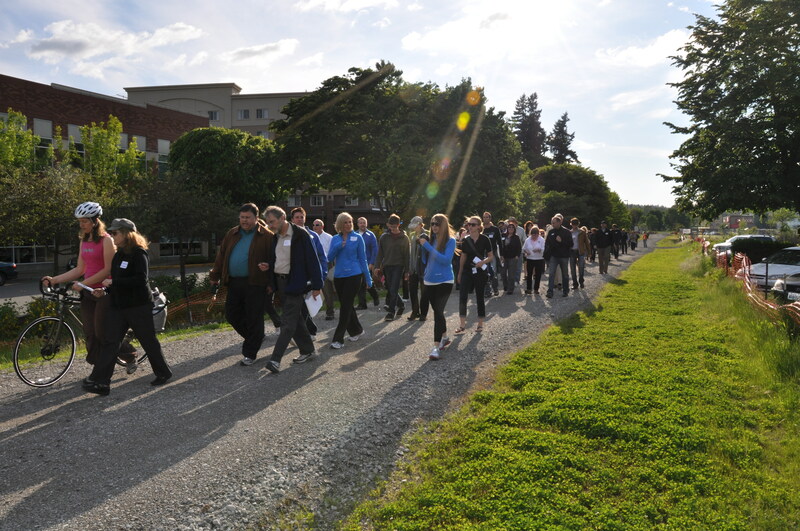 These walks have been successful, drawing more than 2,700 participants over the past two years. For more information about the Neighborhood Walking Ambassador program, visit www.feetfirst.org or contact Feet First Walking Promotions Coordinator, Drew DeVitis by emailing drew@feetfirst.org or calling 206-652-2310 ext. 5.